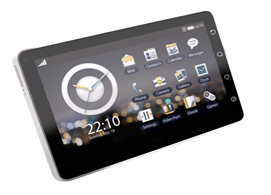 After long wait of tablet lovers, the Olive is launched as first tablet PC in India with styling looks & feature pack OS. The olivepad has a Google’s Android operation system. This new olivepad has many advanced feature in it. The most of amazing thing in OliveVT-100 is that it supports the 3G networks. The olivepad is having a 7 inches touch screen, which is very smooth to handle. In olive has new version of Bluetooth while it also support the Wi-Fi (802.11 b/g). At the back side of olivepad the camera with focus. The camera in olivepad having 3Megapixel with 4X zooming capability. The chipset used in olivepad is M7227 with 600MHzQualcomm. While it has having HSUPA( High Speed Uplink Packet Access) in it. 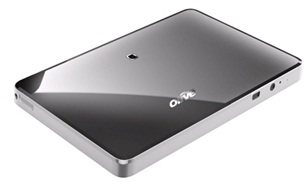 The expandable memory in olivepad is up to 32GB as with its memory card slot. The OlivePad is loaded with 512MB RAM and 512MB ROM. The extra feature in olivepad are multimedia , browsing, flash support, video calling, gaming, watching TV and many more. This olivepad is going to enter the market upto August. The overall price of this smart olive pad is Rs. 25,000/-. While the company has a believe that within 6 months they are going to have sell of one lakh units. While they are also having the agreement with Tata Croma shop.